There's quite a long history behind this game and I'm sure my retelling of events is only the tip of the iceberg but I'll give you a recap anyway. 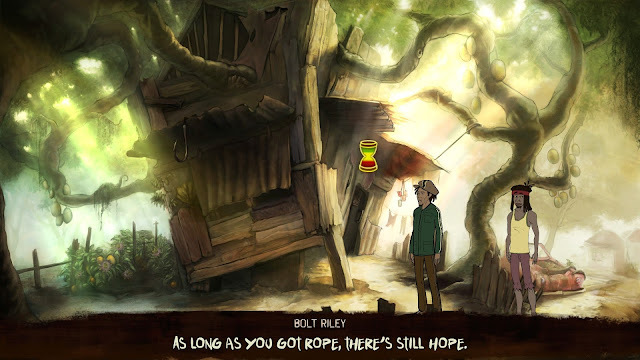 Adventure Mob, an indie developer based in Tel Aviv, Israel, originally pitched the idea for a point 'n' click adventure game where you play a Jamaican boy named Bolt Riley who becomes a reggae legend (no way inspired by the story of Bob Marley, right? ;)) back in late 2013. The Kickstarter project managed to raise $51,668 USD from 1,082 backers, but the campaign was ultimately unsuccessful because the goal was $120,000 USD. Oded Sharon (CEO of Adventure Mob) came back to Kickstarter in August 2014 to have another crack at raising funds but this time with a very modest target of $31,668 USD. The rationale behind this is that Adventure Mob required about $63,000 left to just focus on development of the game's first chapter and they were going to apply for an OUYA program (yes, that Android micro-console that is in dire straits nowadays) to provide the other half of the funds. The campaign was a success, despite it only running for one week, with $32,104 pledged from 757 backers. Anyone who is playing the game on Steam, please write a review. Positive reviews this week are very important to the game's success. With that in mind I decided that I would try the game out and see if I could help out by posting a positive review; unfortunately, that's not going to be the case. The soundtrack by Omri Lahav is top notch and is one of the best aspects of the game - which is just as well, as this is meant to be a reggae adventure after all! Be sure to listen closely to the intro theme to Bolt Riley as it sounds very much like the Monkey Island theme (probably because Oded Sharon is a huge fan of that particular series and its music ;)). I love point 'n' click adventures and those familiar with the point 'n' click adventures of the 90s (or even the modern ones by Daedalic Entertainment) will feel right at home playing this game. The art style in general is one I find appealing. It reminds me of the art style used on The Curse of Monkey Island, a game also set in the Caribbean. 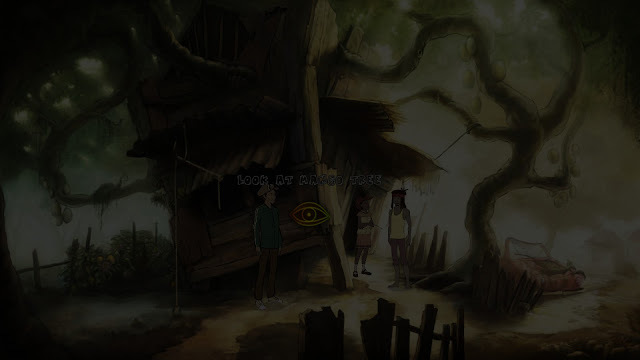 I can't recall many point 'n' click adventure games set in 1970s Jamaica; in fact, this is the first one I'm aware of which already makes the game pretty unique. The fact it's a "reggae adventure" makes me like it even more. There are quite a few discrepancies with the artwork - sometimes there's some jarring differences between resolution, other times the perspective is way off (for example, the microphone in the tutorial seems larger than Bolt Riley's head at one point). Hey! Who turned off the lights? The workaround was to press the ESC key and then restore the saved game from there, so at least it isn't a showstopper bug but it's, nevertheless, kind of an obvious one. Also, when finishing the chapter I encountered a crash-to-Desktop. There's a grand total of four "rooms" in this chapter and it took me 1.5 hours to complete. Considering the first chapter of King's Quest costs only a bit more than this game (King's Quest Chapter 1 is $9.99 USD) and you get a well polished chapter with over 5 hours gameplay, Bolt Riley's price seems a bit steep in comparison. Also, a note for anyone who does end up playing this: the game does indicate to you when the chapter is over, so if it seems like you're stuck, you're actually just stuck and haven't finished the chapter yet. There are a few weird UI design decisions in this game that seem to differ from your typical point 'n' click adventure. For example, let's say you want to look at a tree; you use the look cursor on the tree and Bolt will give you a description of it. However, after he's finished giving his description, the cursor will change to a use cursor. Normally, the cursor would remain as a look cursor but not the case in this game! Yes, I know it's a First World Problem, but video game reviews tend to be full of them ;). Also, if you decide to try and use an inventory item on something in the scene, if you fail to make a meaningful connection, you'll have to navigate back to the inventory, select the item and repeat the process. On one hand, it probably encourages you to think about what you're doing before trying since you can't do the usual click-an-inventory-item-on-everything-on-a-scene-to-see-if-it-works trick, although on the other hand, why break with tradition? It would be in my best interest to give a glowing review since I want to see this game completed but I need to be honest about the progress made so far. I do realise this game is considered Early Access and I know the budget for this game is pretty small, and you should keep that in mind too while reading this review, but ultimately, is it something I would recommend to my friends or the gaming public in its current state? Considering the artwork still needs some touching up, bugs were encountered way too frequently, the UI needs fixing and the first chapter is way too short, probably not. I'm hoping that Adventure Mob will eventually prove me wrong though, as I really want this game to succeed. Is the game worth $8.99 USD? : No, based on what is already in the game, it's not really worth the price tag. Also, the price will be hiked up once the second chapter is finally released.